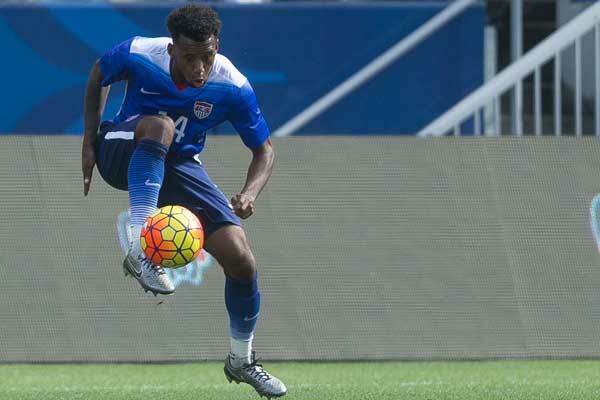 By Jason Davis – WASHINGTON, DC (Jul 10, 2015) US Soccer Players – There’s a division of quality happening at the Gold Cup. Maybe it’s nothing new, but there seems to be a distinct stratification of teams participating in the semi-annual tournament if the scores are any judge. More pointedly, there’s a soft middle of teams that are doing what evenly matched, if mediocre, teams do: draw. So far though six group games, three have ended tied. Only one failed to produce any goals, El Salvador versus Canada. Based on the way that game played out, if it had produced any scoring, it would only be right that the two teams end up level. Fair is fair. Does this say anything larger about the Gold Cup, or the CONCACAF region as whole? While the USMNT and Mexico are consistently the dominate teams in this part of the world, the prevailing wisdom holds that a group of teams is closing the gap, and doing it quickly. Costa Rica outperformed both of the traditional CONCACAF powers at last year’s World Cup. Entering the summer of 2015, there was no reason to think the Ticos couldn’t threaten to win a title that has eluded them in the modern era (read: since the rise of US soccer). Costa Rica opened their tournament with a 2-2 draw against Jamaica. Up a goal on two different occasions, Costa Rica couldn’t hold off the Reggae Boyz. Jobi McAnuff’s equalizer was a fantastic bit of soccer skill aided by the defensive failures of the Ticos. If nothing else, the draw revealed that staying on the trajectory they established in 2014 won’t be easy for the Central American side. It will take more than a good showing at the World Cup to lift Costa Rica to the level of CONCACAF whale. Costa Rica’s draw with Jamaica was a moderate surprise. So was Panama’s 1-1 draw with Haiti, a team suddenly benefiting from some stability after years of turmoil both natural and manmade. If Costa Rica’s draw with Jamaica showed that maybe the Ticos haven’t separated themselves from the second-tier of teams, then Haiti’s comeback draw shows that the island nation is improving within the region. Panama, too, has designs on jumping the gap. During the last round of World Cup qualifying, Panama nearly snuck into the finals at the expense of Mexico. Only a couple of late goals from the already-qualified Americans kept Panama out. Is Haiti as good as Panama, objectively? Probably not, but the countries of CONCACAF below the World Cup qualifiers getting better is not only good for their chances of breaking through into that select group, but for the competitiveness of the Gold Cup. Draws won’t get anyone excited, but they do extend the intrigue through the group stage a little longer. Group B of this tournament is even through one round, good for the rest of the schedule. Mexico’s 6-0 throttling of Cuba probably had a little to do with Cuba’s visa and defection issues. Still, the lopsided result shows how wide the gap is between the top of the region and those teams who manage to get into the Gold Cup. Remember, Cuba is far from the bottom of CONCACAF. Considering the number of CONCACAF countries that don’t even qualify, Cuba is among the elite simply by reaching the Gold Cup stage. The nature of the region means the gap between the bulk of countries and the top 12 is massive, largely due to population and funding. There is another positive to all of the draws we’ve seen so far, unrelated to any nebulous notion of who is getting better and who is staying in place. None of the ties came down to cagey strategies based on playing overly defensive soccer. In every case, even the goalless draw between El Salvador and Canada, at least one of the two sides went for goal aggressively. A failure to find the back of the net did not come down to a willingness to push numbers forward, but rather a simple lack of effectiveness in the crucial moments. Throw in a healthy dose of mistake-prone defensive play, and the games at least held the promise of goals. Next up, round two of the group stage. Will it produce another batch of draws? Can we draw any conclusions at all from games that end without a winner, or is it merely a quirk of fate? Any change in the hierarchy requires a champion from outside the North American zone. More to the point for an every-other-year tournament, it requires a non-North American team doing that consistently. Obviously, that’s not happening overnight. Maybe tight games and tied score lines is a healthy first step for everybody else, raising their level of competition while forcing the favorites to think about more than just eventually facing each other for the trophy.